Siberian Green Quartz is an excellent stone used to open the heart chakra, imparting a feeling of love, peace, serenity & deep compassion for all living beings. Green quartz helps us to see with the heart, to combine a masculine strength with compassionate creativity, and to facilitate the study and practice of agriculture and herbalism for nurturing and healing. 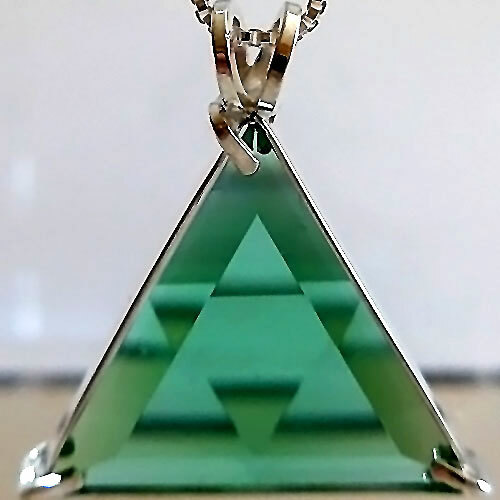 This beautiful Vogel cut Star of David clear quartz crystal pendant is of exceptional quality, both in the Vogel style cut of the stone and in its setting. The combination of Danburite and Moldavite enhances the flow of Universal Life Force energy, prana, or chi, throughout the human body and biofield, directs energy into the upper chakras, energizes the heart chakra, and provides a stabilizing energetic structure that encourages development of a strong auric field, which is the best protection against ambient negative emotions and thought forms in the environment around you. In addition, this powerful combination of precious stones aids in the process of manifesting positive transformations in all areas of life. Smoky quartz works slowly and thoroughly to relieve imbalances in the physical and etheric bodies, with special emphasis on the solar plexus and its associated chakra, the third or Manipura chakra associated with personal power and vital energy. This Rose de France Amethyst accented Clear Quartz Star of David Pendant will assist you in connecting with Higher Worlds.